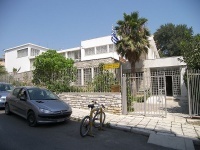 Corfu Town has its own Archaeological Museum. Though small and ordinary-looking from the outside, it's definitely worth a visit for anyone interested in archaeology or the area's ancient history. Built between 1962 and 1965, the museum was initially meant to house important artefacts from Corfu's sixth century BC Temple of Artemis. Indeed, its greatest treasure is the temple's Gorgon pediment, which is Greece's oldest surviving stone pediment. To many, it is a fine example of archaic sculpture. Visitors will find some other interesting sculptures too, such as the Lion of Menecrates. A famous Corinthian sculptor carved it in the late 7th century BC. The 500 BC pediment of Dionysus is another fascinating artefact. The museum's collection also features some interesting coins, vases and armour.